October Research, LLC and NS3 sponsor Adeptive Software are proud to announce this year’s Make A Child Smile networking community outreach event. Join fellow attendees, along with the staff from October Research and Adeptive Software in helping to put together Summer Fun Supply Kits for the Boys and Girls Clubs of Southeastern Michigan. Take part in filling bags with fun and beneficial items to be donated to the children served by this non-profit organization. Plan to add this fun and meaningful event to your NS3 schedule. 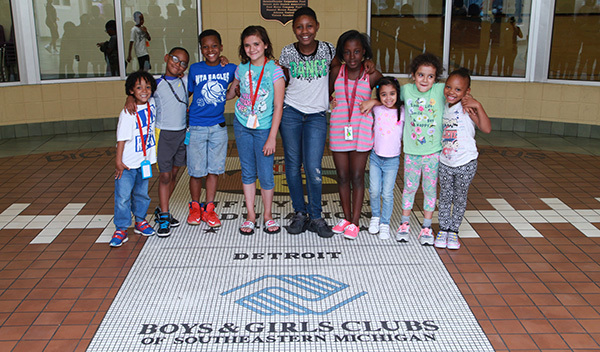 Since 1926, Boys & Girls Clubs of Southeastern Michigan has provided high quality programs for young persons in their community. Today, they serve over 15,000 children and young adults every year through their many programs and events so this year NS3 will be providing a whole lot of smiles with your help. your industry peers At The Center.